It’s almost Christmas (shock, horror) so I decided to design a free Christmas crochet pattern for all my lovely readers, Facebook followers and Instagram followers. The christmas tree ring is a cute accessory to wear on Christmas day, it’s a great stocking filler, or wear it throughout December to spread the Christmas cheer every day. I use crochet thread for this ring. Please don’t be afraid of using crochet thread and the required 1.5 mm crochet hook. I used crochet thread for two of the projects in Crochet Pretty. 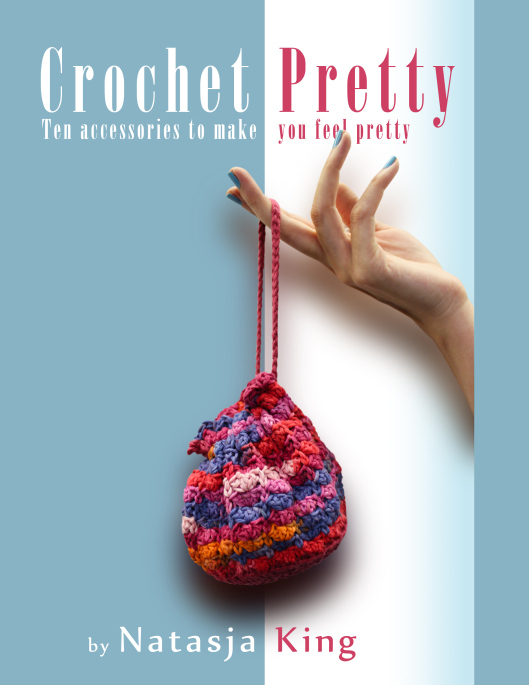 Out of all the patterns in Crochet Pretty, the Oh What A Cute Oval Brooch is my favourite and that’s all down to the use of crochet thread for tiny flowers and picots. I’m falling in love with crochet thread more every day. 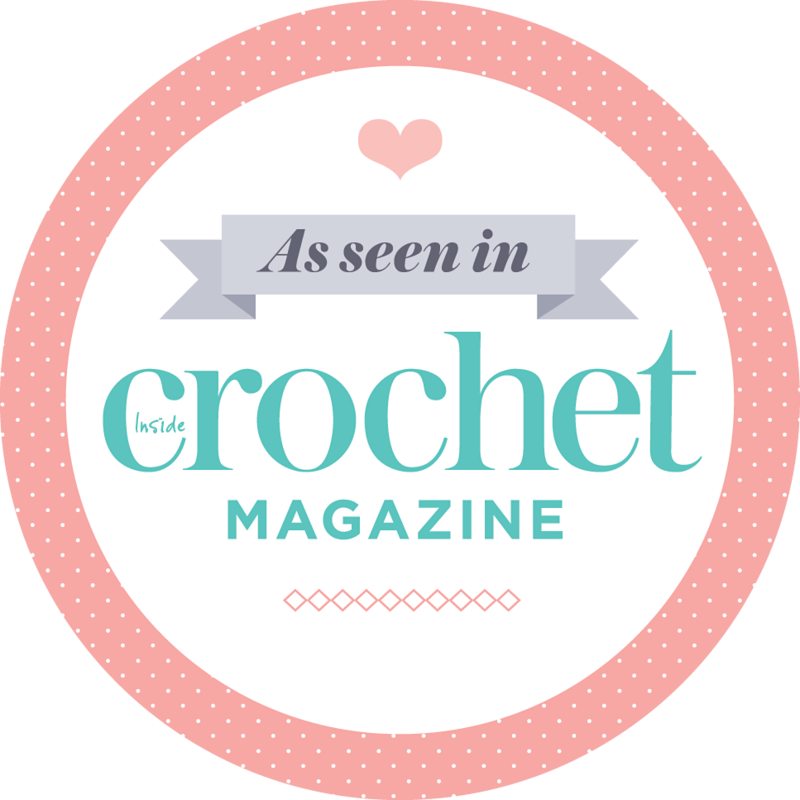 We are spoilt with choice when it comes to yarn weights and most of the time we go for the double knits or 4 plies, but crochet thread is made for us! Literally! Making something with thin yarn and a tiny crochet hook is just like regular crochet, you just need to look a bit closer when you’re crocheting. That’s all there is to it. Hopefully this tiny crochet christmas tree will give you the confidence to also use crochet thread more and see the 1.5 mm crochet hook as your friend. 5 x size 8 red seed beads. I bought this pack of mixed colours at Hobbycraft and just picked out the red beads. This pattern is written in US crochet terms. The sc (single crochet) in this pattern is the equivalent of a dc (double crochet) in UK crochet terms. Bsc is a Beaded Single Crochet. You make a beaded crochet stitch by moving the bead up against your crochet before doing the last “yarn over” of the stitch. Watch this video to see how to make a beaded treble – the technique is the same no matter what crochet stitch you use. Beads have to be threaded onto the yarn before you begin crocheting. Watch this video to see how to thread the beads onto yarn. Turn your work after every row. Thread 6 seed beads onto yarn. Foundation row: Work 2 chains. Row 1: 1 sc into second ch. Glue the christmas tree to the ring blank. Thank you for this wonderful little treasure! I am new to crochet and look forward to trying crochet hooks in smaller sizes. What a pretty little project to make! Simply sweet and fun! Will share! Thanks for this idea!!! is lovely. Thank you. What an adorable idea. Will have to make one for my little great-niece. She’ll think that’s wonderful.